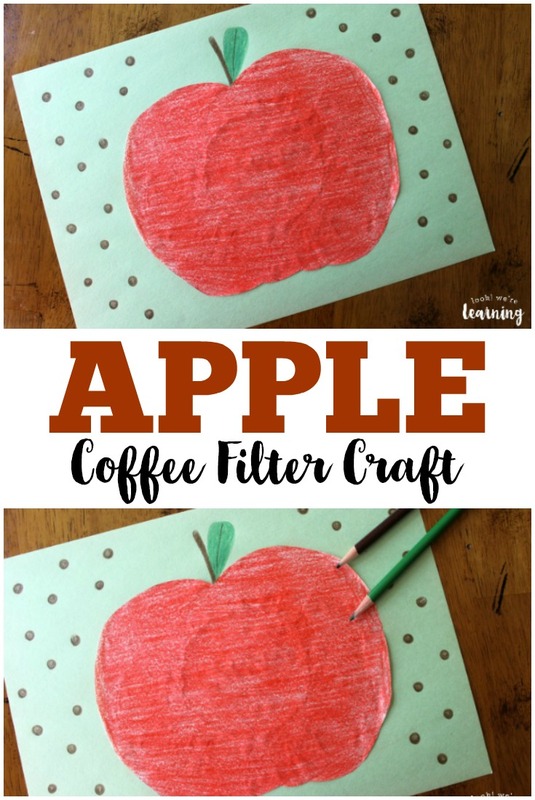 Coffee Filter Crafts for Kids: Coffee Filter Apple Craft - Look! We're Learning! It’s still warm where we are. (It’s the South. It’ll be warm through November.) But I simply cannot wait for fall. I love fall. It’s easily my very favoritest time of year. And one of the best parts of fall is ripe, juicy apples! 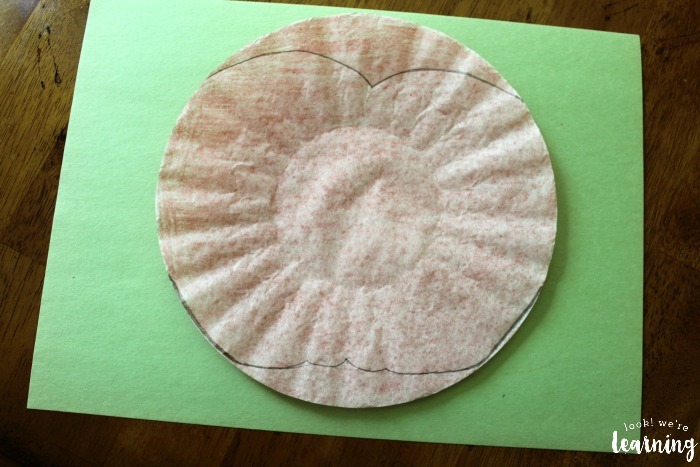 So for our latest coffee filter craft project, I’m sharing a coffee filter apple craft that’s easy enough for preschoolers. They may need a little help cutting the filter into an apple shape, but after that, they’ll be good to go on their own! 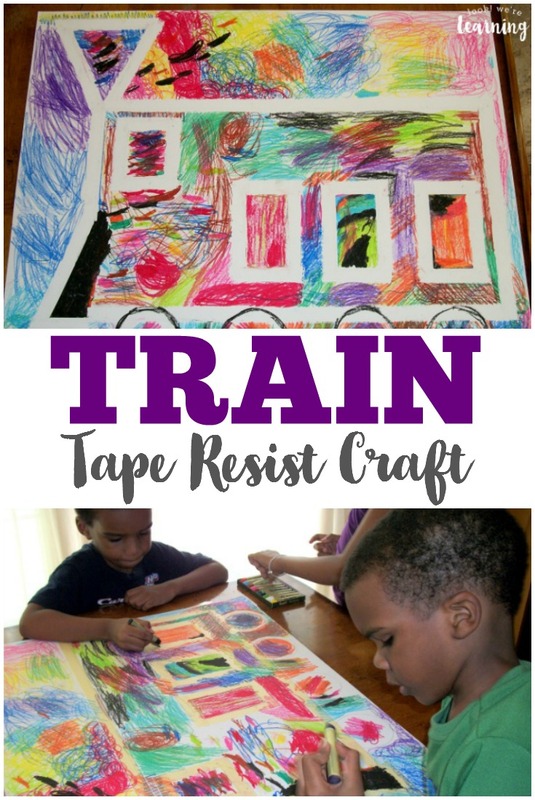 So this is a perfect craft idea for preschool, kindergarten, or even older kids who might want to add their own touches. 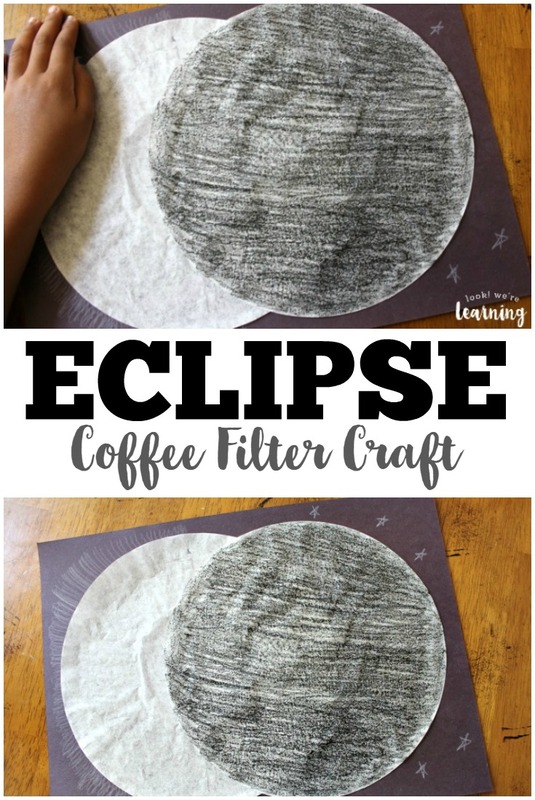 If this craft is a hit with your kids, try some of our other easy crafts, including a Coffee Filter Flower Craft or our Coffee Filter Sailboat Craft! And be sure to get ready for fall with these beautiful fall books for kids! 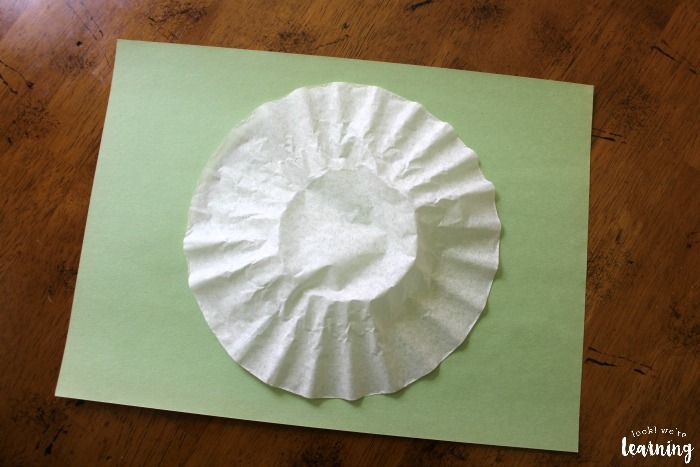 Flatten out the coffee filter as best you can. Color the entire filter bright red. 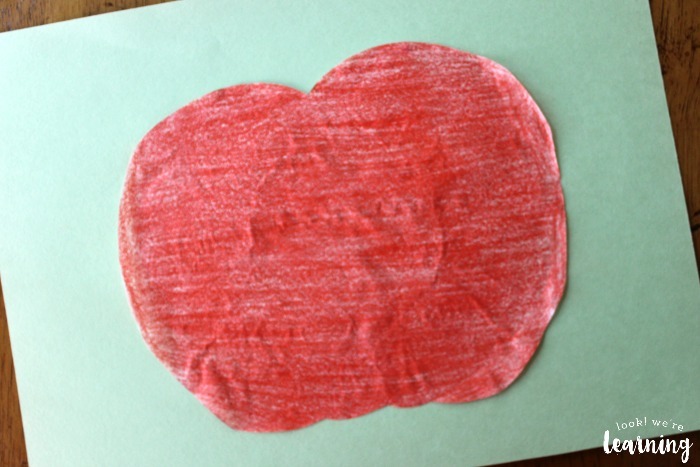 Flip the coffee filter over and sketch a rough apple shape on the back with pencil. 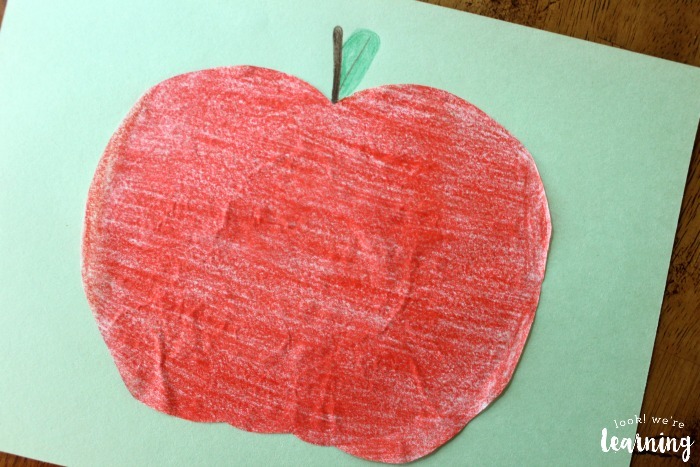 Use scissors to cut out the apple shape. 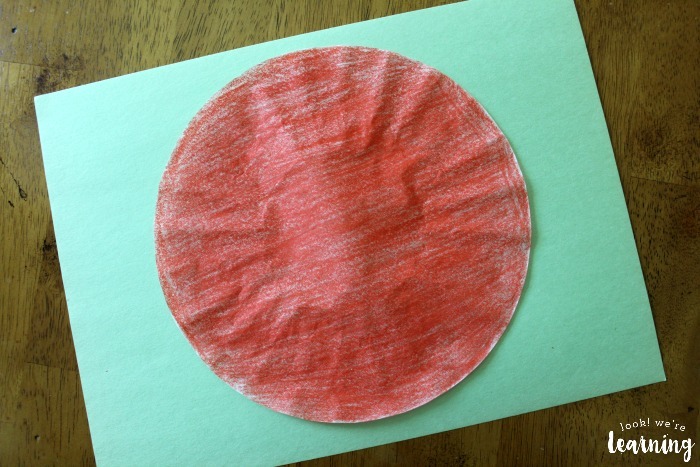 Then flip the filter back over and glue it in the center of the construction paper. 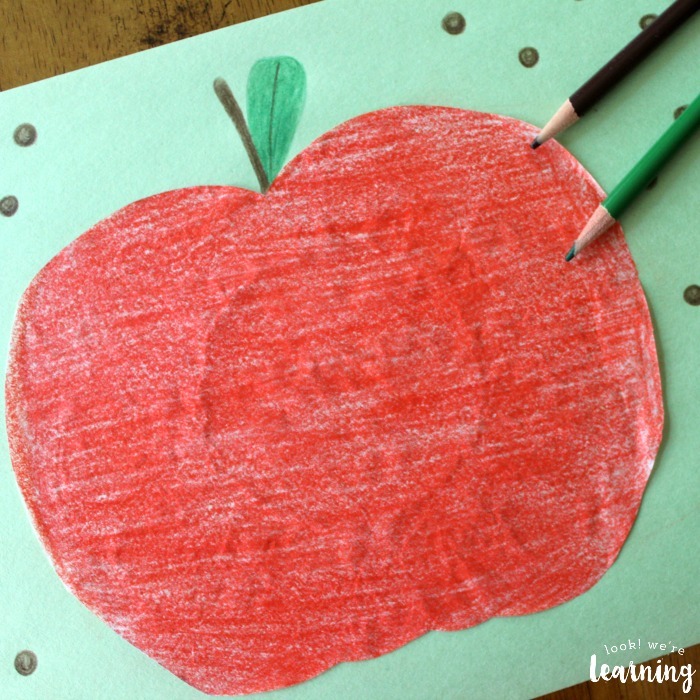 Draw a stem and leaf at the top using colored pencils. Add some fun polka dots and you’re done! 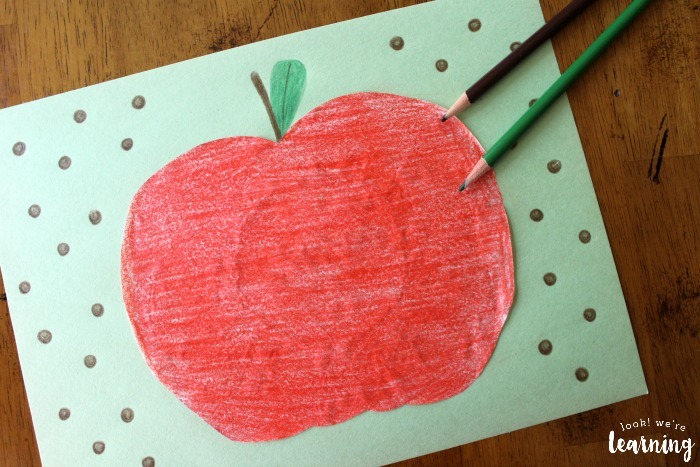 If you cut the filters into apple shapes ahead of time, this would be a fantastic craft for playdates or kids’ parties! Just hand them the filters, construction paper, art supplies, and glue! Like this craft? Try these other simple crafts! 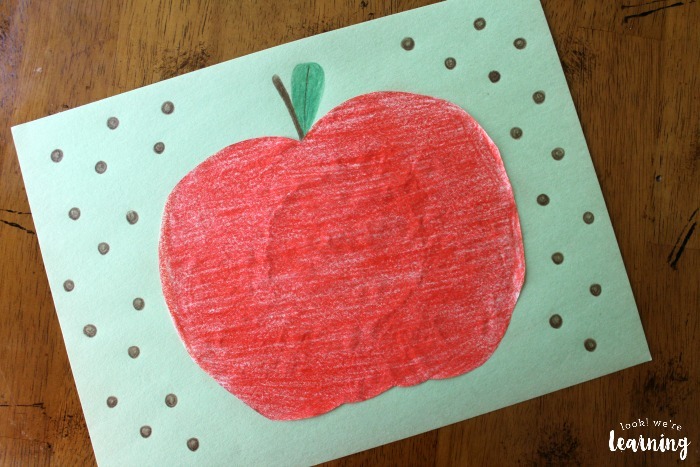 See more easy crafts for children on my Simple Crafts for Kids Pinterest board!